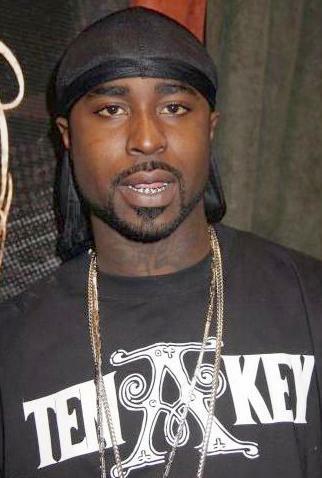 *If ain’t one thing, it’s another for Young Buck. He’s been in a losing battle with the IRS lately, but now he’s got a new problem and is being sued by his label G-Unit Records. The suit, filed for $10 million, claims that he breached his contract during his bankruptcy proceedings. But that’s not all. 50 Cent got in the mix and added $171,000 Buck owed him owed from a $300,000 loan in 2005. It’s really a sad day for the rapper. He said he currently has 14 claims against him right now totaling $11.5 million. Joyce decided to take on the fiscally irresponsible rapper under the condition that he’d study the business side of the industry. Besides all of that, Buck could be getting locked up pretty soon for possession of a firearm charge. He’s out of jail right now on a $100,000 bail. The trial is set to begin in May. If convicted, he faces up to 10 years in prison. A classic tale of “nothing lasts forever”. Once a hot flash in the pan, now standing in the welfare lines. Back when I was in high school, many many moons ago, we had classes in general business, finance and accounting. They were not requirements, but the more serious students tend to be funneled into them. Today, such classes should be requirements today because so many in our community are coming out of high school without even knowing how to balance a checkbook. i was once on a flight with him to va. a complete a*s during the flight. a human piece of garbage. I really don’t feel sorry for these rappers. They get these record deals, make money, buy jewlry, cars, but are cash poor literally, morally, and finacially. Instead of investing. Some, not all, of our people need to learn the “business” side of not just making money, but keeping money and investing it rather than spending it on nonsensical (sp) things and ending up in the poor house later. Dude you a rapper so wtf rap, get you a pen some paper and lock yourself in the room and don’t emerge until you burn that note pad with 100% uncooked RAW! Throw out anything that sounds like your familar and write from your heart..Bring It! That’s what Tupac did!